With the beginning of the new year, on Gudhipadva, we worship Maa Bhagwati Saraswati. Books are the source of knowledege and are the form of Maa Saraswati. So we worship books on this day. Today, I have photo of Saraswati Pujan to share with you. Slate was the beginning of learning, where we wrote the first letter अ, आ, इ ..! 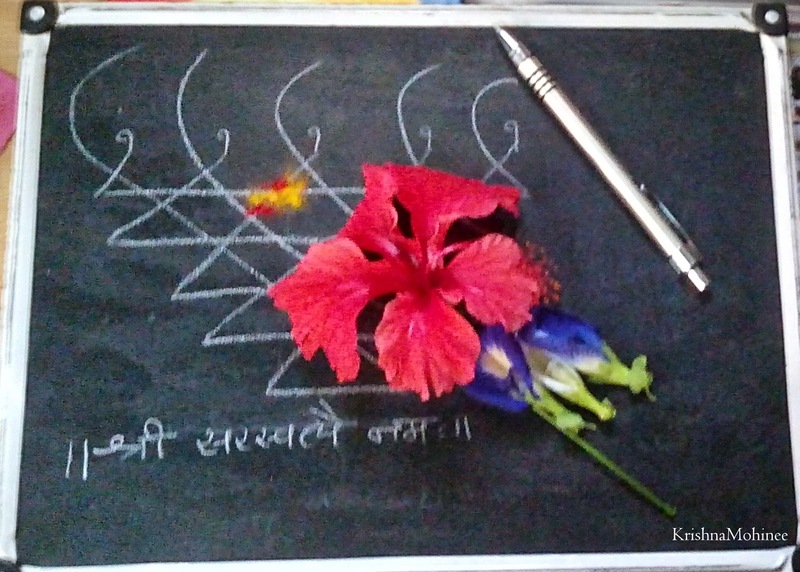 So, this is the worship of Saraswati Maa in the worship of slate, pen, the books and the notebooks where I write. Her blessings are the reason of the Gyana, the power in the words and in the poems.